Last week’s mystery image was one that should have been easily identifiable by most any printmaker. In the end it was Deborah Maris Lader of the Chicago Printmakers Collaborative who correctly identified it as ink drying. 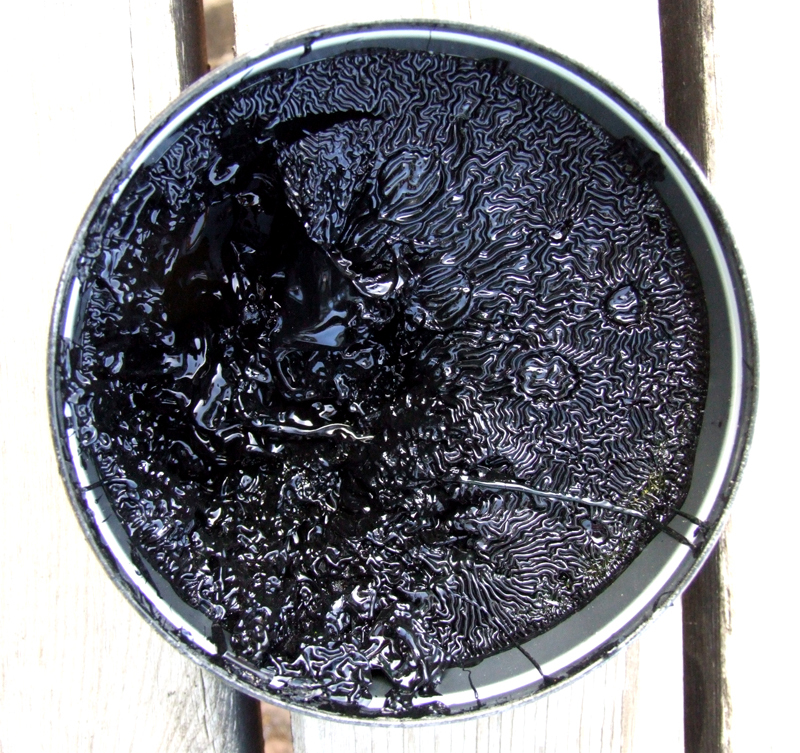 The photograph below, which shows the ink tin, makes it easier to read. Congratulations Deb. Come and get your chilled summer wine. And if you arrive before September first we’ll include a chicken dinner. It’s Chicago Printmakers Collaborative, but that little detail doesn’t diminish my excitement at winning chilled wine with 2 of my fave people. In fact, the prize could easily just be sitting on the terrace of Mike and Maureen’s place. WITH Mike and Maureen. Still trying to figure out how I’m gonna get there…. OK, we’ll make it easy for you. If you arrive before Oct. 1 your prize includes breakfast of cafe con leche, toasted (real) bread and serrano ham at the edge of the Mediterranean. Better bring Michael or he’ll get jealous. Did we take you swimmin’ in the reservoir? You’re spoiled rotten!